The Department offers courses for the Bachelor of Arts degree with a major in history and for a major in social science with history as a leading subject. Students majoring in other fields may minor in history or take courses for general interest, elective credit, or as part of the Arts and Sciences Core. The Bachelor of Arts degree requires a minimum of 120 hours, 42 of which must be advanced, and fulfillment of the general requirements of the College of Liberal Arts & Social Sciences and the University Core Curriculum. A major in history requires completion of HIST 1050-1060, though other courses may be substituted with permission of the Department. 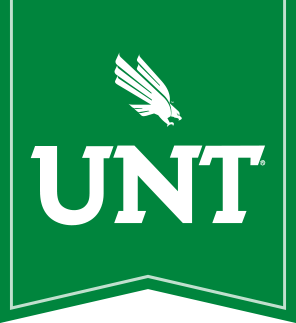 Western Civilization and UNT's HIST 131-132 (both previously required) do substitute. Also required are HIST 2610-2620, and 18 semester hours of advanced work consisting of four courses--from either Group A, Group B, or Group C--and one additional course selected from each of the other Groups. The undergraduate catalog sometimes does not list certain classes, or does not list a group designation. New classes are also added between editions. In addition, HIST 4260 and 4900 carry variable group credit. Group designations for current semesters will be listed in the Department Schedule. If you are uncertain as to group credit, consult the Department at 940/565-2288 or Wooten Hall 225. Students may minor in history by completing 18 semester hours, including HIST 1050-1060 and 2610-2620. Approved substitutes, including substitutions of advanced work, are allowed. Six hours of advanced history ARE REQUIRED. The Texas Higher Education Coordinating Board (THECB) marketable skills initiative is part of the state's 60 x 30 TX plan. 60 x 30 TX was launched in 2015 with a clear and bold vision: to be among the highest-achieving states in the country. 60 x 30 TX is a roadmap to help Texas reach that future through higher education.